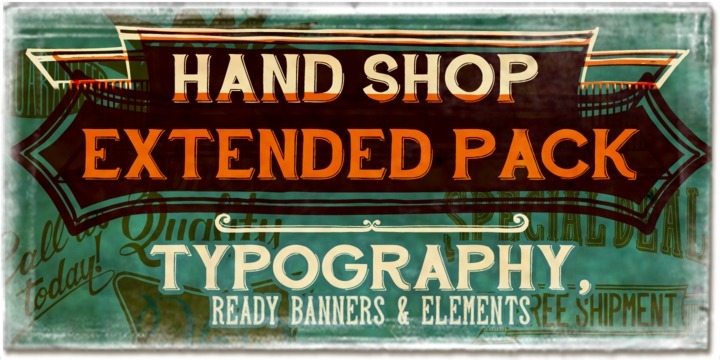 The Hand Shop Pack font is a unique hand-made typography reminiscent of old time shop signboards. Meticulous focus is given to shop owners who usually search for unique, incredible ways to vindicate their products or services. This is a dedicated attempt on the part of Fontscafe to come up with something exciting. The endeavour for perfection is reflected through the impeccable flow of the typeface and hard to resist charisma.